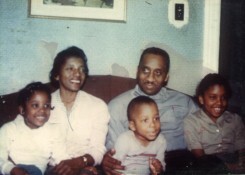 This is my family, at about 1961. I was about 2 and a half, and we were still to have two more added, a brother in '64, and one in '67. Boy, I have my pop's head, don't I? What a dome! They used to use my head to crack walnuts around the holidays. I was at just the right height to put a bowl of chips on my head and walk around at the parties, so guest can help themselves. You should be ashamed at yourself if you laughed at that! I am only kidding. Let me tell you about my family, or really my parents. Maybe it will sound a lot like yours. My father was the perfect example of the traditional father of the old days. The pillar of strength, he was an only child, born to a single mother. She was charmed by her boyfriend, who promptly went off to be a merchant marine, and my father never knew him. His mother came to Philly to start a new life after she came up pregnant in their hometown, down on the rural Eastern Shore of Maryland. My mother is from the farmlands of rural Virginia, Middlesex County, and was raised in a family of nine children. She came to Philly in the wave of black people that headed north after World War II. They met through friends, and both worked for the same supermarket chain, Penn Fruit. Dad in the warehouse, Mom as a cashier. My parents lived shortened lives working late shifts, nights, and sometimes double shifts to provide for us. Like the grand majority of parents, their only legacy was to give their children a chance to advance a little farther down the road than they did. The sacrifices they make are so great. You can't pick your parents, so I am eternally grateful that they had the morals, and had the patience to raise us right. Dad worked nights, so during childhood, we only really spent timewith him on weekends, even though he was right there in the house. Being an only child, and coming up in the 20's and 30's, my dad always had a part of his personality that was, well, just private, he left school in the 9th grade to be the wage earner for his mother. His first child was at 19, and his last was at 55. He was born in 1912 in North Philly. He grew up in the world of segregation, all legal, all fully endorsed by "the Great Society". I have a page that speaks more on race, so I'llleave it at that. I just think it speaks volumes for a person's personality, to really imagine the times they grew up in, to know what makes them the people they are today. As many men still do, he found it hard to show affection in the ways a mother can. He was more comfortable with his role as provider, and when Mom gave the high sign, as enforcer. "Wait til your daddy gets home", was not words you wanted to hear. I can still vividly remember the one and only time I got a bare-handed, bare-assed spanking from my Dad. They had no trouble from me since the second grade. As a young child, it was fear, yes. Our world is simple then, cartoons, candy, and toys. But it developed into respect, you could see the reason for the punishment, the reason they cared to inflict it on you. This was no punches, no abusiveness. But from and early age, with that first tap on the heinie, a child has to grow to learn there is a consequence for his/her actions. It helped steer me clear of many of the negative influences that the innercity offers. Back then, history was being played out on TV, in the South, in the Vietnam war, and it was clear that you had to prepare yourself, had to be ready to "fight the fight" in the outside world, THAT is what my parents wanted us to understand. I put up with not being considered cool, for not staying out late, not getting the girl, not running in gangs, not getting high, because the pride of my parents outweighed the blessings of my peers. As it turned out, fearing the disappointment in me that they would feel, wanting to make them proud, THAT was the incentive. 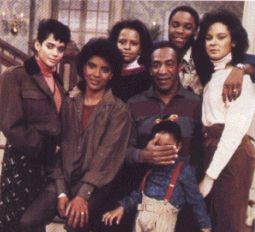 The Cosby Show in the 80s portrayed the black family in a way that had never really been done before. It was an angle that was sorely needed. The show still inspires debate among African-Americans, charged by some to be unrealistic. Sad, but we are brainwashed into thinking that every portrayal of a black family in the media must be torn part by poverty, drugs, and a liberal sprinkling of "jivin'". Of every color, aren't we all too unique to be "typed"? I can't imagine white TV viewers across the USA arguing about whether "Dawsons Creek", "Party Of Five", "Family Ties", or "Growing Pains" represents the true way white families should be portrayed on TV. We all know that "Married with Children" is a complete escape from reality. Why can't the predominantly African-American shows just be entertainment, not documentaries on what an entire culture is really like. And if you must stay reality based, aren't there enough middle class families of color that are like Huxtables to justify a show that reflects such a sorely needed perspective? 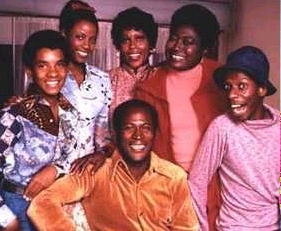 I heard a loud NO from so many of my same friends that previously complained about how "Good Times" stands as the most lasting black family TV portrayal. 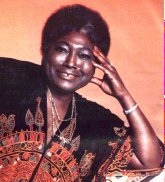 Esther Rolle, (who died recently, was just in her last movie, "Down in the Delta", directed by Maya Angelou), Esther played Florida Evans and was the cornerstone of the black family on TV in the 70's. The show pivoted around her highs and lows, pushing the family to do their best. Her character gathered up the strength and courage to weather the stresses of inner-city blues. Rolle, with John Amos as James Evans clicked together. They showed genuine love for each other. Even when they argued, they reminded us of the bond that has held the black family together through the generations. Rolle had left the show for a while during the second season, because of creative differences with the show's creators. The people in charge of molding the image of these fictitious black folks were white, as most are that are calling the shots to this day on TV. They had purposefully increased the coonish mentality of JJ. He brought the majority of laughs to the table, and since ratings matter most of all, they worked that angle over and over. Jimmy Walker was an all too willing performer, and he killed his future acting career by so completely absorbing the JJ persona. My Mom and Dad have been gone for 10 and 8 years, respectively. It's strange... never being able to speak to them again. I have no videotape, not even any sound of their voices to play back. It's all just snapshots and memories. I still hear things they have said in my mind, you know, when your folks would lecture you? I never thought I was listening that well, heaven knows it was repeated enough. I was his first boy, so although he was happy as hell to have a "junior" at last, I don't think he was comfortable with "this other male in the house" especially when I hit my teenage years. I'll give him this: at least he tried. As awkward as he may have felt, opening up and showing emotions, he kept at it. That's what makes me the most proud of my Dad. One of his favorite tricks was to get me in the car to go someplace, and then drive the longest route possible to get there, so he can talk about maturity and responsibility, and all that parent/child stuff. As much as I tried to tune out the "when I was your age" speeches, I was trapped. I used to look out the car window, and try to imagine what my chances of bodily injury were if I did a dive out of the moving car like "Mannix" did almost every week on TV. It may have made it easier for him to look ahead and drive than to look at me directly. The four girls before me had a certain "self maintenance" about them. What Mom didn't talk to them about they just seemed to know. He felt his responsibility was more the boys, me and later on, my two younger brothers. One of his hallmarks was the "walk alone" theory. It's alright to have a group of friends, but they shouldnt smother your individuality. He always said you have to separate yourself, stand alone, in order to carve out your direction, to find your "knowledge of self" is the popular phrase used today. He was an only child, raised by his mother. He was just reaching adulthood when the Depression hit, and for a Black man you can multiply the negative impact of that many times due to the social structure that was in place in the country at that time. He was given shorter hours, or had his pay delayed, but they knew he was one of their best workers, across the board, and he kept his job throughout the Depression. Things still happen today that would make me stop and remember "the lectures", and I'd discover how right they were. I still think of things I wish I could say to both of them....I never gave them enough back. Do we ever show enough appreciation? They raised 5 kids, put 4 into college, on so very little money. I can only talk to them in my prayers....my only outward expression of love is to visit their gravesite with a sad bunch of flowers, and make sure no weeds grow over their names. Much peace and love to you, Mom and Dad....you've done good. If your parents are still living, you can't afford to miss the opportunities to show them how much you love them. Make those phone calls, those holiday dinners, and tell them you love them. Especially son to father, saying "I love you Dad" shouldn't be left until the only thing you can do is say it to a gravesite.